1) You then, my child, be strengthened by the grace that is in Christ Jesus, 2:1. How does “then” (or, “therefore”) connect this verse with what Paul has said in chapter 1? How do we “be strengthened in the grace that is in Christ Jesus”? Why does Timothy need this strength, and why do we need it? 2) and what you have heard from me in the presence of many witnesses entrust to faithful men who will be able to teach others also, 2:2. What is the qualification Paul states for those to whom Timothy is to entrust what he heard from Paul? Why is this verse so important to the life and mission of the church? 3) Share in suffering as a good soldier of Christ Jesus, 2:3. 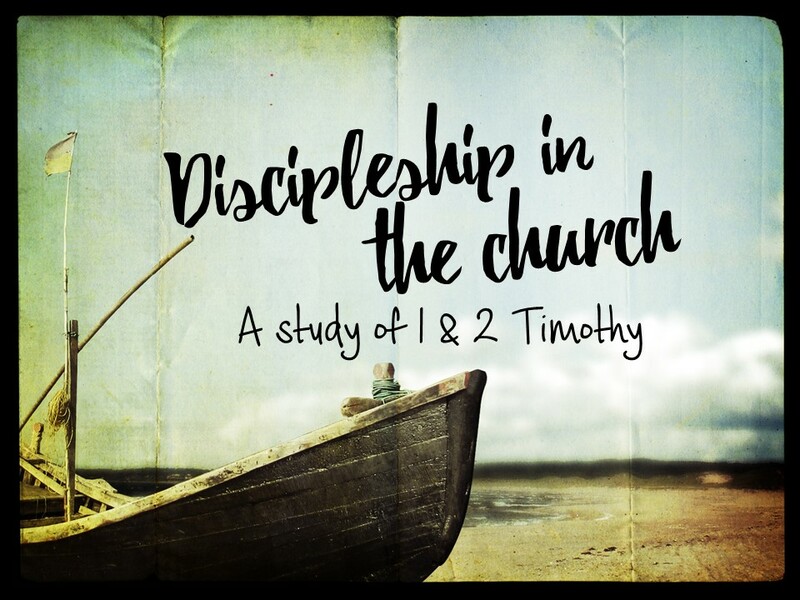 Paul is emphasizing that Timothy must share in suffering for the gospel (1:8, 12). Why does advancing the gospel involve suffering? In what ways are faithful gospel workers like soldiers? 4) No soldier gets entangled in civilian pursuits, since his aim is to please the one who enlisted him, 2:4. How does Paul’s soldier analogy illustrate his exhortation to suffer in serving Christ? 5) An athlete is not crowned unless he competes according to the rules, 2:5. How does Paul’s athlete analogy illustrate the need to suffer in serving Christ (see also 1 Corinthians 9:24-27)? 6) It is the hard-working farmer who ought to have the first share of the crops, 2:6. How does Paul’s farmer analogy illustrate the necessity of suffering in serving Christ? How might the farmer analogy be the most relevant to Christian living and ministry? 7) Think over what I say, for the Lord will give you understanding in everything, 2:7. Why do you think Paul exhorts Timothy to think over what he has just said? Why do we need to think over God’s word if he is going to give us understanding of it?